In most healthcare settings today, nearly all insight into a patient’s health is lost the minute they leave the clinical care setting. The visibility into their health condition surfaces only when they return for a scheduled visit, or potentially worse, an emergency situation. It doesn’t have to be this way. With advances in wireless, non-invasive sensor technology and the growing adoption of smartphone and cellular technology, healthcare institutions are empowered to gain valuable insight into the real-time health of at-risk or chronic patients. By passively or actively collecting data from patients wherever they are, providers can realize benefits from reduced re-admissions to shortened hospital stays to improved clinical outcomes. 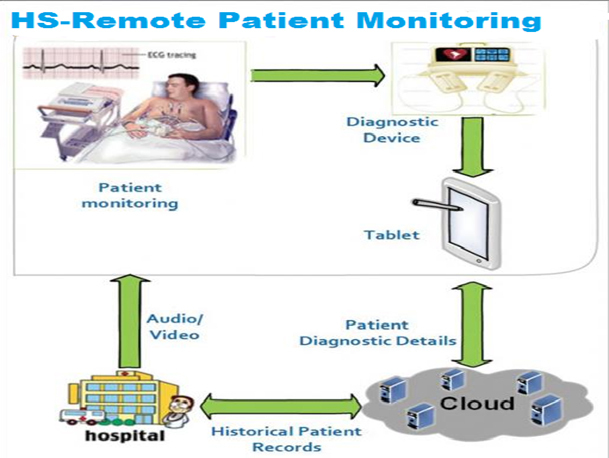 At Health Square, we collaborate with leaders in the medical community to create remote patient monitoring solutions (such as the Care Trends) that gather the key biometric data required to monitor a patient’s health while integrating the relevant data in a manner that doesn’t disrupt the clinical workflow. And by leveraging the Health Square care platform, these solutions can be delivered in a rapid and cost-effective manner with proven technology supported by our HIPAA-compliant platform. The Health Square Care Platform includes a breadth of available services and functionality to build secure, scalable and useful remote patient monitoring solutions.